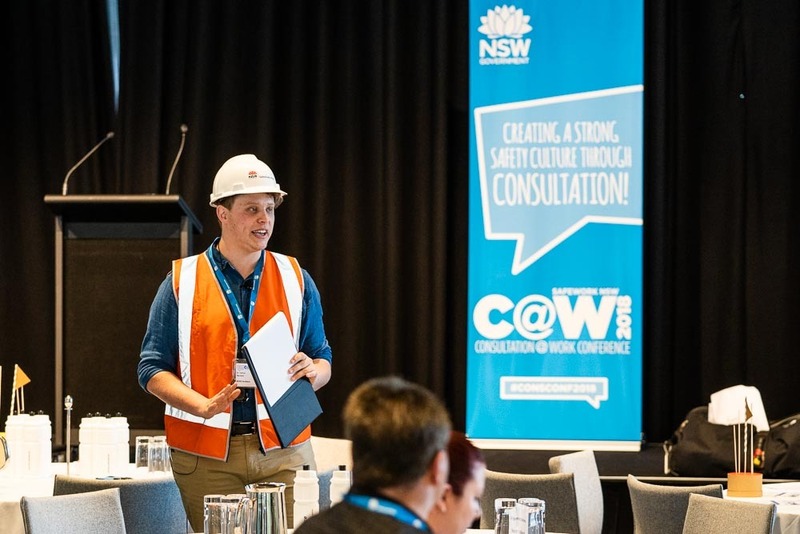 At the end of October, for Safework NSW’s Consultation@Work Conference, we presented a consultation best practice workshop. 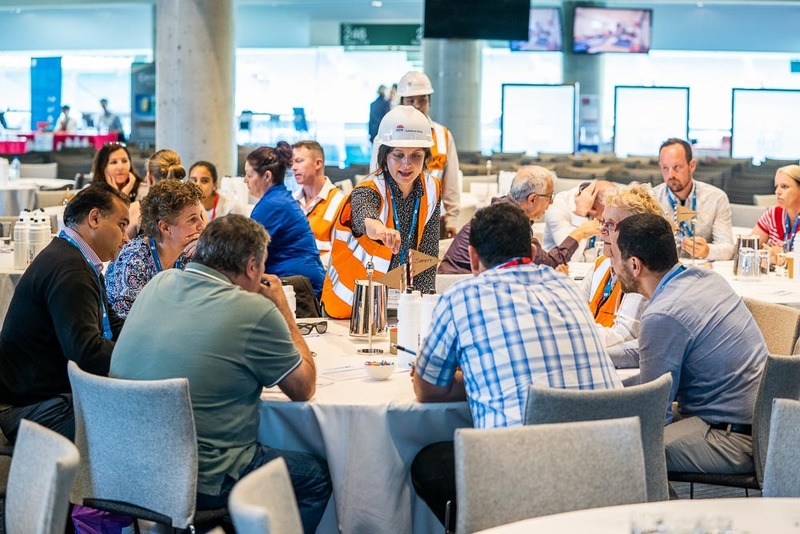 Participants included workers and health safety representatives from around the state, and we were assisted by Health and Safety Inspectors who guided conversations with their expert knowledge. The workshop was developed over several meetings with inspectors and Safework NSW staff. In these meetings we linked systems science to issues of workplace health and safety, and built a narrative featuring a workplace incident and characters occupying different roles in a factory. We wanted to present decisions that were hard to make, and scenarios that would provoke discussion. 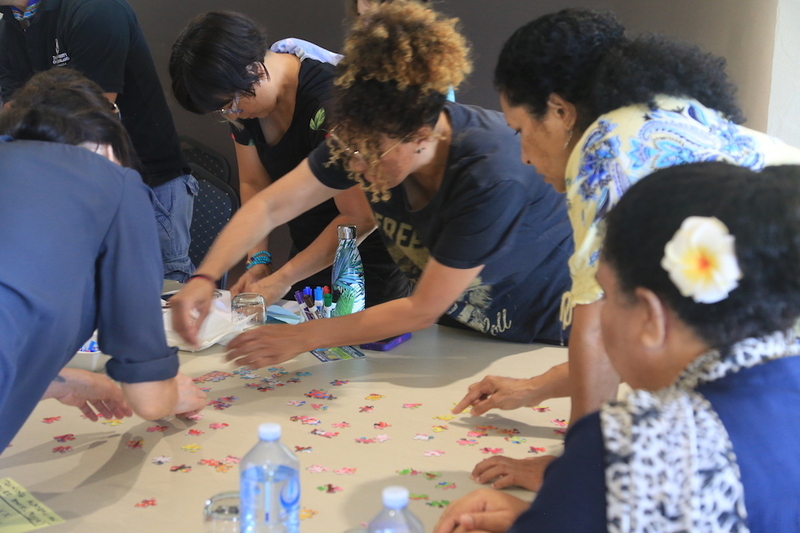 Throughout the workshop, participants took part in several games responding to the events in the narrative – prioritising workplace values, managing a safe factory floor, and responding to a crisis. 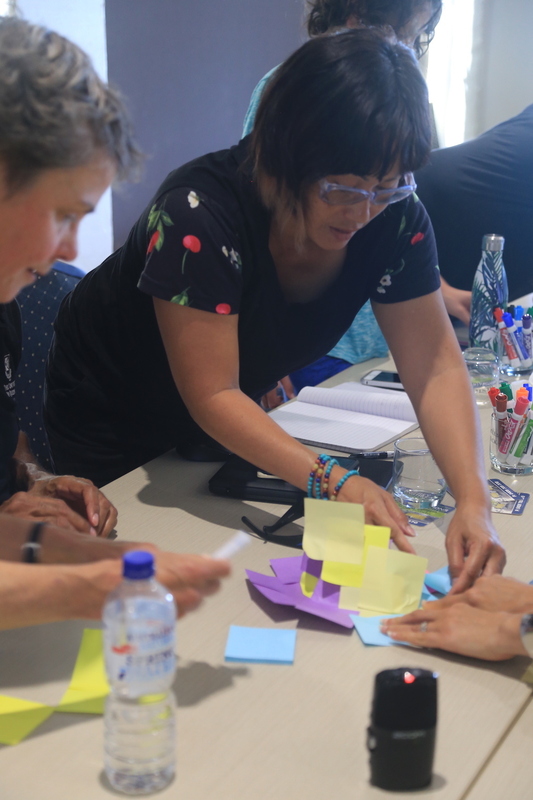 The narrative and games served as a reference point for conversations with the inspectors, where participants could respond to the narrative, discuss their own experiences, and develop strategies for better consultation practice in their own workplace. We took elements of previous games, including Best Festival Ever and Run A Bank, and tried to pack a narrative and repeated games into a tight 60 minutes. Another challenge was building the workshop for over 100 people across 18 tables, but with the tables working towards a common goal. We designated the tables as Workers, Managers, and Health Safety Reps, and led them through some games that were just for the table, and other games where collaboration and consultation with other tables was crucial for success. The tables also provided an opportunity for people to role-play to a particular perspective. It was interesting seeing people take on roles in a workplace they don’t usually occupy. One table was characterised as managers and clearly justified their priorities early on, before reflecting after the game that were they to play again they would reverse them completely. 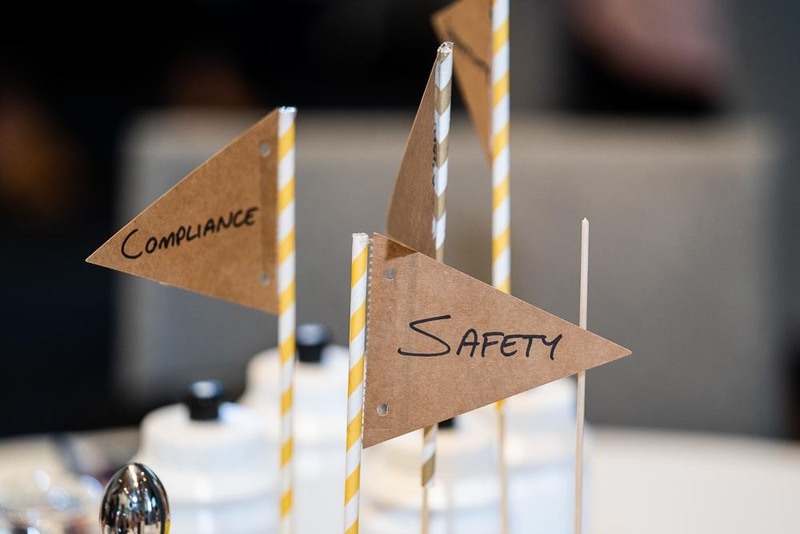 We noticed the ultimate goal stay the same between tables – the goal of safety in the workplace – but the strategies to get there were different, and those strategies were all based on different perspectives. The inspectors did a wonderful job of unpacking these experiences in the context of safety regulation and workplace culture. 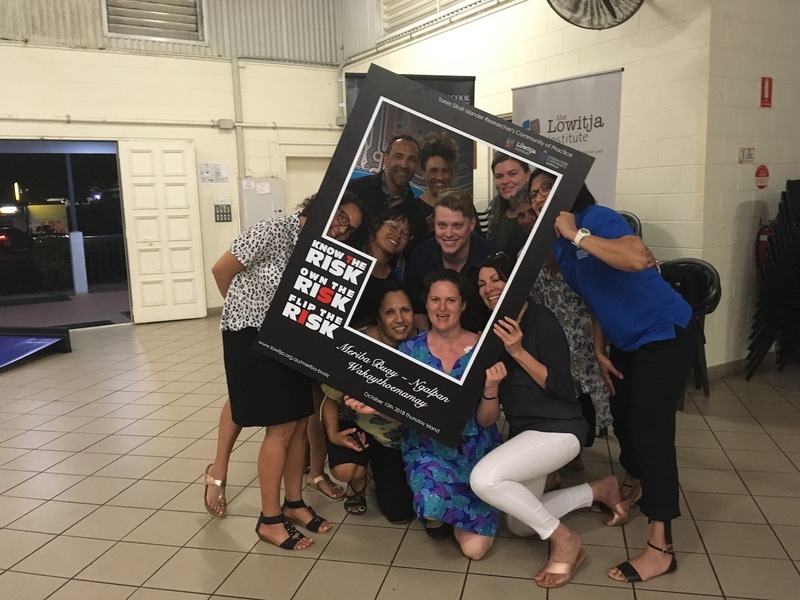 Working with Safework NSW was an exciting opportunity to adapt our games and skills to a new setting, and work directly with experts in a field with which we don’t have much experience. Like many of our processes, this development was all about listening and finding games to communicate stories from a group of experts. On the day the participants played hard, only suffered a few minor disasters, and had animated discussions rich in experience and passion. Plus Nathan got to meet Adam Spencer. 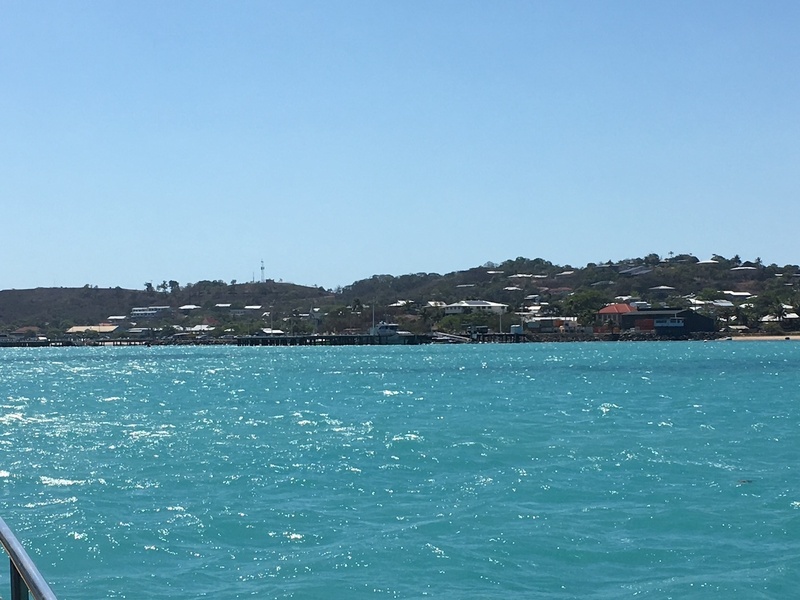 In October Nathan, Rachel and I flew to Cairns, and then to Horn Island, and then took one of the most beautiful ferry rides I have ever taken across from Horn Island to Thursday Island. The island is stunning, the water is a beautiful crystal clear blue and it’s quite strange to see somewhere that looks so much like a resort and yet also feels incredibly remote. I was reminded of my trips to Cobar or Tennant Creek – but surrounded by ocean instead of land. 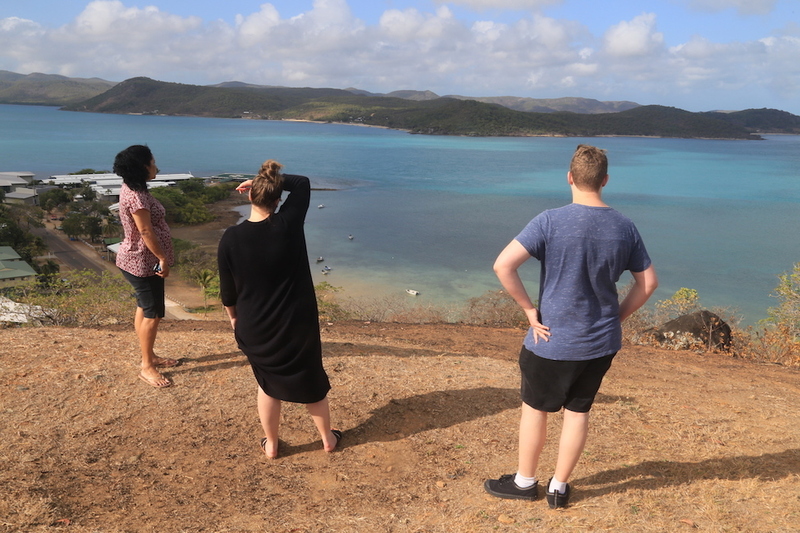 We were heading the furthest north in Australia we’d ever been to deliver a bespoke workshop day for the Torres Strait Islander Researcher’s Community of Practice. We’d tailored the workshop for the group, and combined it with an evening games workshop in their community space. Boho was invited to deliver the workshop as part of a larger study by the group into experimental learning styles and Boho provided the ‘games’ arm of that research – giving provocation to how games and interactive play might open opportunities for conversation, and discussion around the systems experienced in the Torres Strait. We stayed the night at The Grand Hotel next to the ferry terminal, had dinner in the Malu Paru restaurant (which was incredible – even for the vegos amongst us) and watched this sunset. The next morning we set up in the dining room and began the workshops. It’s never an easy thing to arrive on an island where there has already been so much unwanted activity and involvement from colonizers, but I suspect it is a much harder thing to welcome an unknown group to the island – and to have them share some of their work with locals at your request. On this part Boho have to thank the group for their welcome, their openness with us and their tough love towards us also. It spoke fathoms of their experience, the issues and undercurrents that they negotiate, and their hope and ambition for the future. We sincerely hope they are funded again – not for ourselves – (although we would be honored to work with them again) but for the continuance of the project. The workshop looked more into the process that we use to develop Boho shows, and the systems mapping process we employ to make the games that we do, and the stories we chose to tell about each system. We try to use this process to help us become aware of some of the systems at play within a wider complex system, and some of the complex problems or conflicts – as well as synchronicities – that might come out of them. These then inform the direction of our work and the focus of our games – in the hope that they begin to illuminate some of the complexities – without imposing judgments upon them. The groups in the workshop came up with two small systems to play with and interrogate. A fictional fish and chip shop on TI, and a park area. Together we went through the process of identifying the boundaries (physical and temporal), flows (of information and products), user groups and their values . Then together we talked through what a game of that system might be able to explore, that is difficult to understand through explanation alone. We then played through another systems game called Run A Bank, had a wonderful lunch where we sat and enjoyed the stunning view – yet again – and then began taking the group through mapping their organization. After this was complete we did a very quick pack up and raced across the street to set up the community center to present some of our games for the locals. We played Busy Mayors – a game where the group support the mayor of a town as they try to decide what to do as a typhoon heads towards their town. This was a great ice breaker and lots of fun to watch everyone get involved. After Busy Mayors, Rachel and I played through the Programming Game from BFE and a funny little card game called Sneaky Volcano. I was in charge of Sneaky Volcano and while I believe I was playing a strange new version of it (apparently I made up some new rules that I was unaware of) those that I played it with seemed to have fun, including some of the shyer teenagers who had turned up. The night seemed a success and we were relieved and pleased to have been of credit to the group. We hope to be able to go back and work with them again. If all of that was not enough, the next morning before our ferry Vinnita Mosby generously packed us all into her car and took us on a short tour of the island. Up to Green Hill Fort for some incredible views and a short history lesson, past the school where so many children from islands further out board during the week and past so many fancy cars from the mainland are left to rust on the side of the roads because it’s too expensive to get the parts and there is no-one up there who can fix them. It’s an amazing and strange place to have visited and we are grateful for the opportunity.